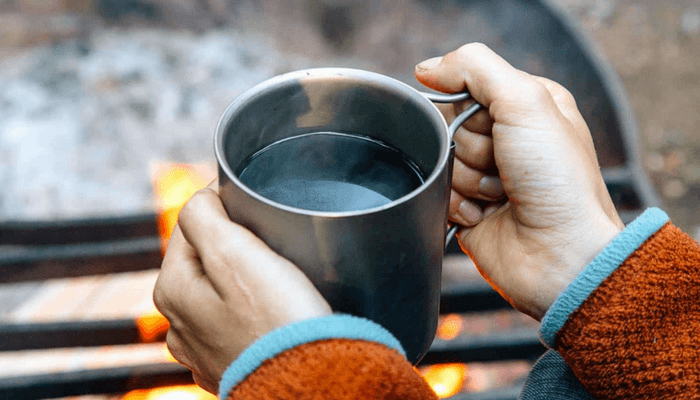 Many of us love to start the day with a hot cup of coffee, and it is something that you should never have to miss – even when you are out camping. The great outdoors offers the perfect setting for your morning brew, and you should take full advantage of the time you have to spend with nature, either alone or with people you care about. 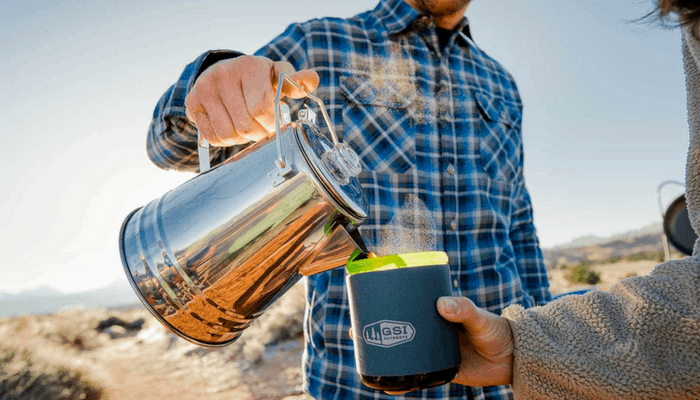 To help you make a great cup of joe, here are three easy (yet satisfying) hacks on how to make coffee while camping. This is also known as Cowboy Coffee, and you will often see it being brewed in old Western films. However, it is a pretty practical way to do things if you are out with a large group and you all want to experience some classic camping coffee. It’s certainly worth a try, and you can find two methods for brewing it below (great news for those who don’t own a cheesecloth). Pour a gallon of water into the coffee pot and bring to the boil over an open flame/burner. With cheesecloth - place the ground coffee inside the cheesecloth. Without cheesecloth - after the water has started boiling, place the grounds directly into it. With cheesecloth - crack the egg slightly and place it on top of the grounds. Without cheesecloth - remove coffee tin from the heat and steep for 5-10 minutes. With cheesecloth - tie the cheesecloth with the mixture inside and place in the boiling water. Without cheesecloth - crack the egg and keep the shell. With cheesecloth - remove from the heat and steep for 5-10 minutes. Without cheesecloth - after steeping, throw the eggshell into the tin to help the grounds settle to the bottom. With cheesecloth - after steeping, remove the cheesecloth and the coffee mixture. For both - serve and enjoy! This is pretty good for those who are camping solo or with one other person, otherwise, it would take a pretty long time to make enough coffee for everyone that was strong enough. Much like teabags, you can also get coffee bags from many retailers, making your morning brew a quick one. However, there are many who like to make them from scratch, and so we have gathered methods for both options here so that you can try one (or both) out for yourself. Lay a standard basket coffee filter flat. Take the coffee filter and fill it with a big scoop of ground coffee. Tie the filter closed just above the ground coffee with some butchers twine. Leave a little tail to hold from the twine. With your kitchen scissors, cut the excess twine off. 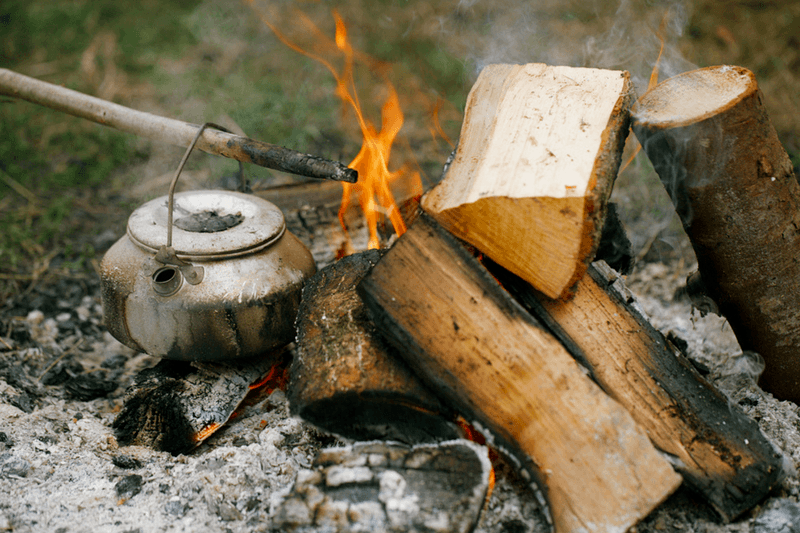 Boil your water on a camping stove or over a fire until it reaches the boiling point. Put your coffee bag in the boiling water for about 1 to 3 minutes. Take the coffee bag out and enjoy. These are also known as cafetiers, and many people still use them in their homes for making coffee. It’s a good method to use if you have a few people with you that are in need of a morning boost, as well as a quick and easy way to do things. 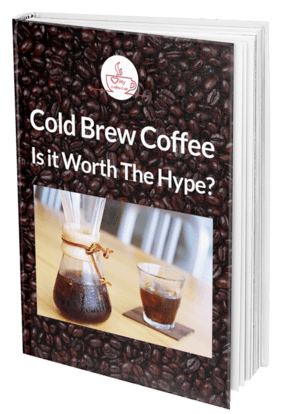 If this is a method that might interest you, take a moment to read through the detailed method for brewing this hot beverage, as well as the pros and cons of undertaking it. Add water into the pot and bring to the boil on a burner or over an open flame. Once water has come to a boil, scoop some of the coffee grounds into it and then pour into the French Press. Take the French Press plunger and place on top of the carafe, being careful not to press it down at this stage. After about 30 seconds, remove the lid and stir the grounds for 1-2 full rotations, then replace the lid. In 3 to 4 minutes, press down the plunger to the bottom, ensuring that the pressure remains consistent. 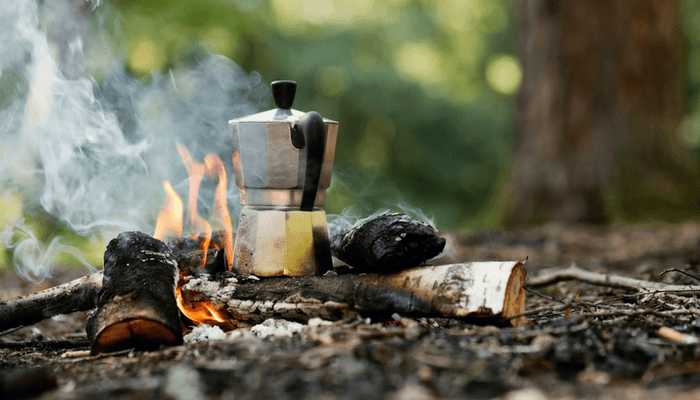 We hope that this guide on how to make coffee while camping has given you a good idea of how to make the perfect coffee, allowing you to enjoy your favorite morning drink even when you are away from home. From the traditional to the quick and easy, each of these methods results in a great tasting drink, and we know that it’s going to give your trip the positive boost it needs to kick start you in the mornings. All you will need to do is kick back, relax in your hammock or chair , and watch the sunrise over your camping site. Gemma Tyler is a freelance writer and blogger. 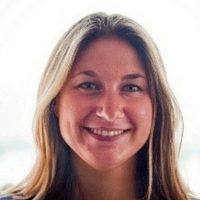 You can keep up to date by following Gemma on Twitter, Facebook & Pinterest. If you are interested in more information on outdoor fun, such as camping and hiking then check our her Ultimate info Guides for more details.